I have a book illustrated by Ivan Bilbin, but I have no idea what it's about because it's in Russian. The images have beautiful linework with such subtle color. It feels like a fairy tale or a folktale. I asked a friend who reads Cyrillic , and she said this is The Tale of Tsar Saltan by Alexander Pushkin. 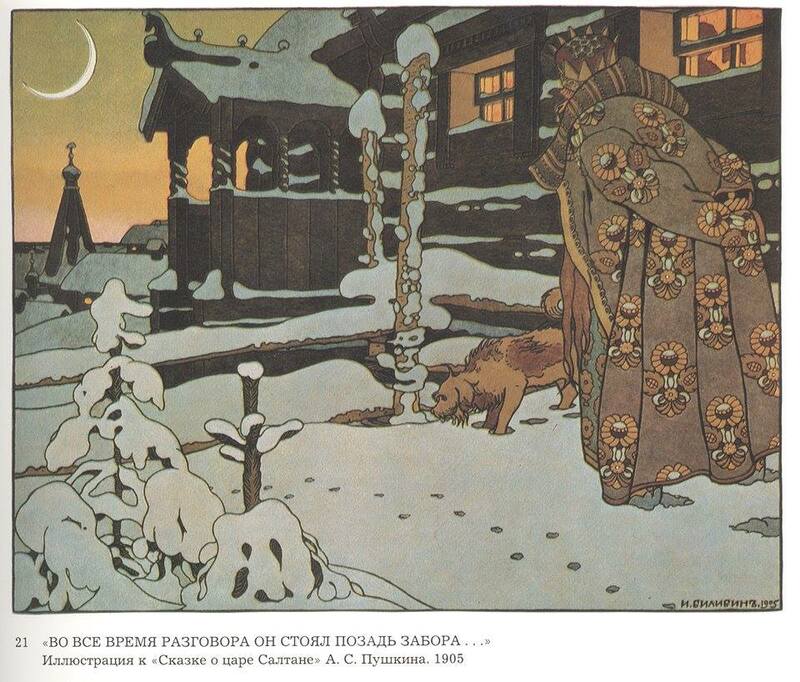 Here is an animated version of the tale, accompanied by selections from the opera, “The Tale of Tsar Saltan”. There are English subtitles.